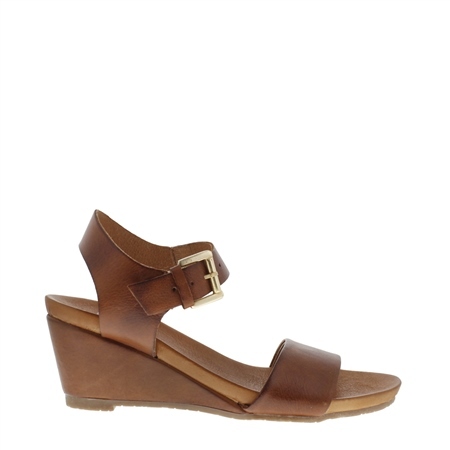 This lightweight sandal in tan kid leather with striking buckle and 2.5 inch covered wedge is the perfect addition to your summer collection. Pair with tailored trousers for day and your favourite denims for a more laidback casual look. Also available in beige.